I have always loved Mary Poppins. I can’t tell you how many times I have seen that movie. The very thought of any person who could walk into a dysfunctional household and work miracles was quite attractive to me as a child. Today, I came into a situation where I find myself resting on the couch and as I was flipping through the channel guide, Saving Mr. Banks had just started so I decided I would watch it for the third time. But I can see how much Helen Goff is much like me…even though her demeanor is a polar opposite…the depth of her emotions and her love of the characters from her memories is similar to me. Lol! Reason 1: She adored her father as a child. Everything she did was in an effort to make him proud. Reason 2: She is a lady through and through. She takes pride in her appearance and strives to always look the part. Reason 3: Her writing is her form of therapy. So much of her pain is expressed through her books. Reason 4: She loves her characters on a personal level. Those characters are very tangible and real emotions are attached to them. Reason 5: Some very special people helped her to heal. Although she didn’t welcome the healing, certain people tolerated her and loved her enough to turn open wounds to scars. Ms. Goff is highly respected in my mind. I truly admire her love for her father and also for her characters. I find her disdain for Walt Disney amusing and I wonder if I would throw fits over movie rights as she did. I can imagine the feeling of signing over my rights to someone and it scares me to death to let go of Aspen. I hope that when the time comes, I can hold my ground and go about it all with the same tenacity she did when she battled Walt for the perfect rendition of her world. I want to send a heartfelt thank you to the very special people in my life that helped many of my wounds heal. Whether you just passed through temporarily or are a permanent fixture, I love you and adore you. Happy New Year! Read For Free!! 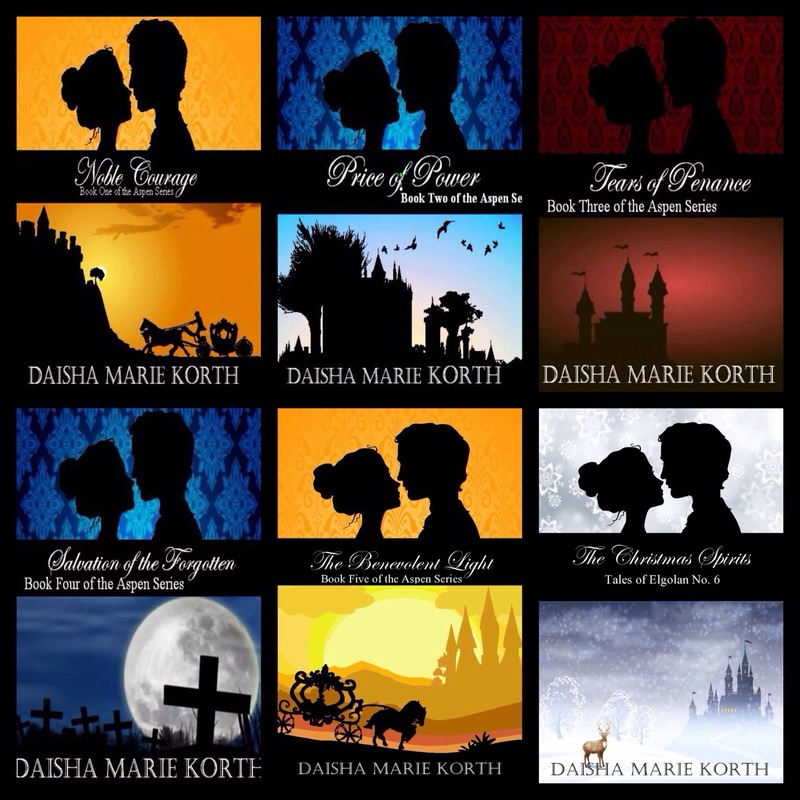 So thinking towards a bright and sparkling new year that is right around the corner, I decided to just put all my books on sale…for #FREE! 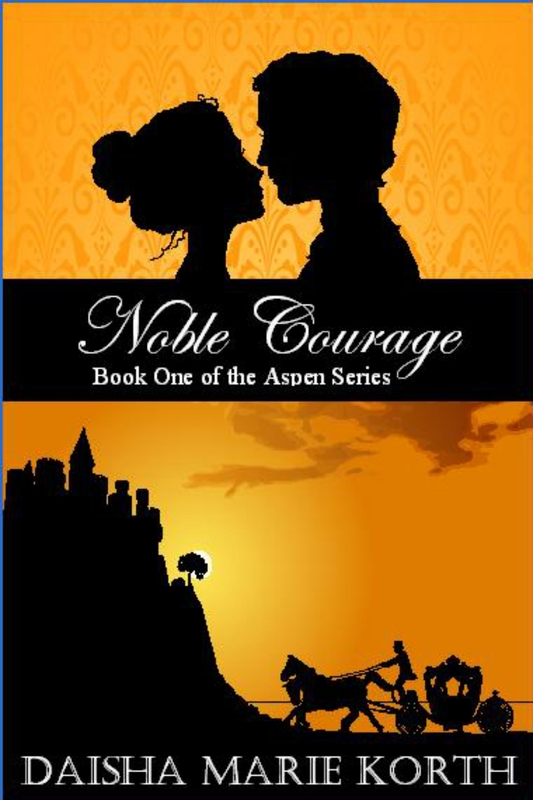 The only catch is that Noble Courage can’t be free because I had it on sale five days in December. But everything else I have solely put out there is going to be free until Friday, January 2nd. This is your perfect opportunity to pick up the vast majority of my series for nothing out of your pocket. If you would just kindly leave your thoughts when you are finished, I would be most grateful. And if you feel so inclined, I would love some Indie suggestions from you on the best books you’ve read this year!! Help a girl out here! I hope you all have the best New Year’s celebrations. See you again in 2015! December 17th-22nd! Don’t miss out! 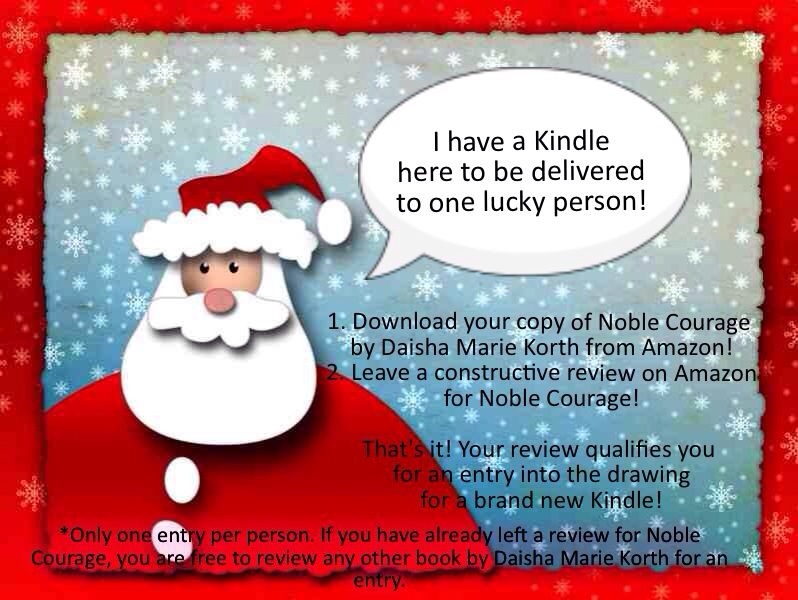 Simply download your copy of Noble Courage and leave a qualifying review on Amazon! Then I enter your name into a drawing on the 23rd! Please take a moment to grab your download before the price increases!! The Christmas Spirits is LIVE!! 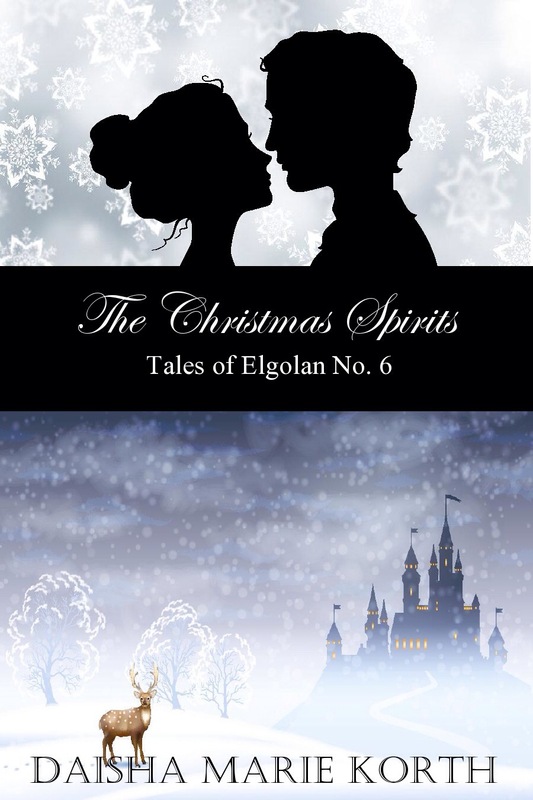 I had a goal to get this Christmas story up on Amazon before I went to bed last night. Well, I was up until midnight just jumping through the Kindle hoops…and this morning I received the email that my story was live! So I am most pleased to tell you that this sweet and magical read is LIVE and ready for download! Get it here! And I must also say that this would be such a treat to read on the Kindle I will be giving away later this month! Stay tuned for that!